Wedding Planner, Kelsey Wilson, is about to have her big break: planning her beloved cousin's lavish and exclusive wedding. Everything is going smoothly until Connor McClane, a devilishly handsome private investigator, shows up and turns Kelsey's world upside-down. Hired by a secret source, Connor quickly disrupts the upcoming nuptials but wins Kelsey's heart in the process. 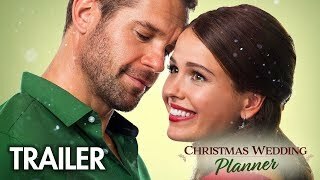 Currently you are able to watch "Christmas Wedding Planner" streaming on Netflix.